What is a Google My Business Page, and How Can it Help My Business? Manage the information that Google users see when they search for your business, or the products and services that you offer. Businesses that verify their information with Google My Business are twice as likely to be considered reputable by consumers. When people find your business on Google Maps and Search, make sure that they have access to information like your hours, website, and street address. See insights on how customers searched for your business, and where those customers are coming from. You can also see information like how many people called your business directly from the phone number displayed on local search results in Search and Maps. Restoration marking is local marketing. A customer in a point of crises is searching for a respected company close to them that can be contacted now. Through your Google my Business page you are providing them and more importantly Google with your local information. Having an optimized Google My Business Page will help your restoration company rank in local searches for maps and SEO as well. 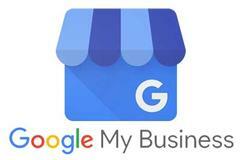 If you would like help claiming and setting up your Google My Business Page, please contact us today!